This office welcomes your questions and feedback. but we encourage you to call by phone for an immediate and more personal response. Renee Joseph, a lifelong resident of Hampton Roads, exemplifies excellence in real estate. Renee is an award winning agent, dedicated to delivering remarkable results and providing extraordinary real estate experiences for her clients. 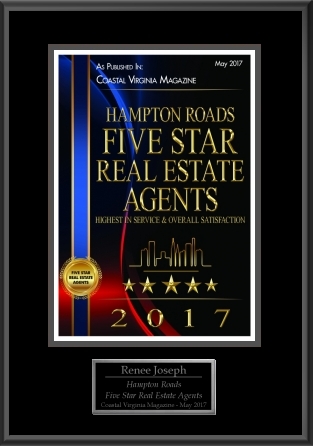 Exceptional service, strong experience, marketing creativity and good old-fashioned hard work have made Renee Joseph the agent of choice for discerning buyers and sellers in the Hampton Roads marketplace. Renee specializes in First Time Home Buyer Services, Luxury Homes, Senior Buyers and Sellers, Relocation and Military Clients, among others. While the real estate market has changed in complexity over the years, one thing remains the same: Renee's dedication to understanding and delivering upon your individual needs. 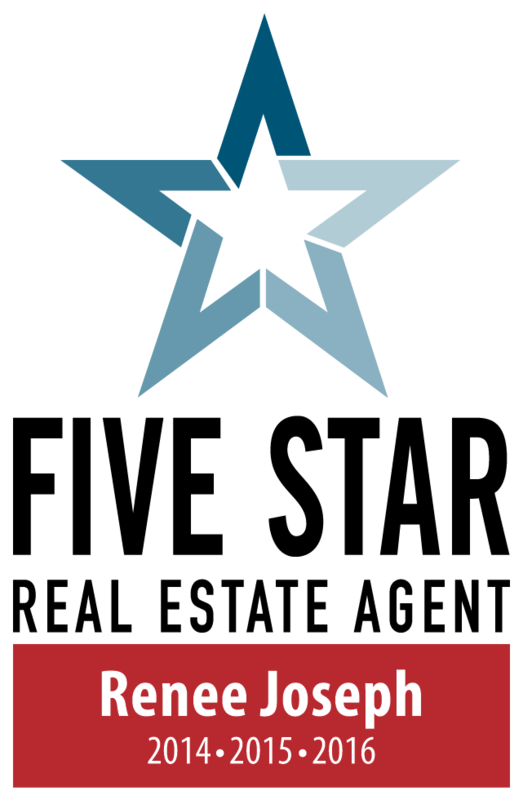 Her greatest reward is providing you with an exceptional real estate experience. She looks forward to serving you.